This delightful local restaurant has an informal bistro atmosphere and a lovely outdoor courtyard for al fresco dining. 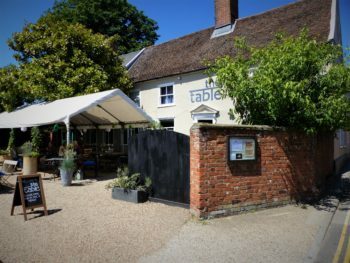 The Table opened in 2012 and quickly became one of the destination restaurants in town, due to the brilliant, imaginative and delicious menu, friendly and welcoming staff and the regular ‘Street Food Sundays’. Pop in for coffee, cake and the papers, or book for an intimate lunch or a fun evening meal with friends. Larger, private events are also welcome.